Everyone has the desire to have a bright, white, smile. However, due to gum disease and other oral issues, tooth extraction is sometimes required. This creates a crack in a smile that can easily lead one to desire dental implants. Over the years it has been a debate on how long people should wait to get dental implants after a tooth extraction. Some industry professionals have said 6 months, while others have said 6 weeks. To some, this may seem like a long time to wait and such a wait could promote further bone loss and difficulty in implant surgery. This wait leads people to wonder if dental implants can safely be placed sooner than recommended in the past. Can Dental Implants Be Placed Directly After Extraction? The short answer is, yes! If the procedure is carried out properly, dental implants can be placed immediately after tooth extraction. This procedure is called an immediate dental implant. This means the implant can be placed from the day of extraction up to two weeks after the tooth removal. Patients generally prefer this option because not only is it safe, but it helps bring their white smile back, among other benefits. When you have to lose a tooth, the news can be frustrating and you just want to have the emotional and literal void filled. You could have the options of dentures, partial dentures, or a bridge, but there are some huge advantages to opting for immediate dental implants. Immediate dental implants look as real as your actual tooth. Like all surgeries, immediate dental implants come with their short-list of risks. While these are few and far between, they can easily be prevented by the patient simply following the surgeon’s post-operative orders. For immediate implants, it is recommended that the patient avoid biting down on the implanted tooth for around 3 months. This is quite typical because your implant needs to meld with the jawbone and this does not happen quickly. Patients need to make sure that they not only follow post-op orders but that they schedule follow-up appointments to the surgeon. The recommended timeline is 2 weeks after surgery, and then another 14 weeks after. 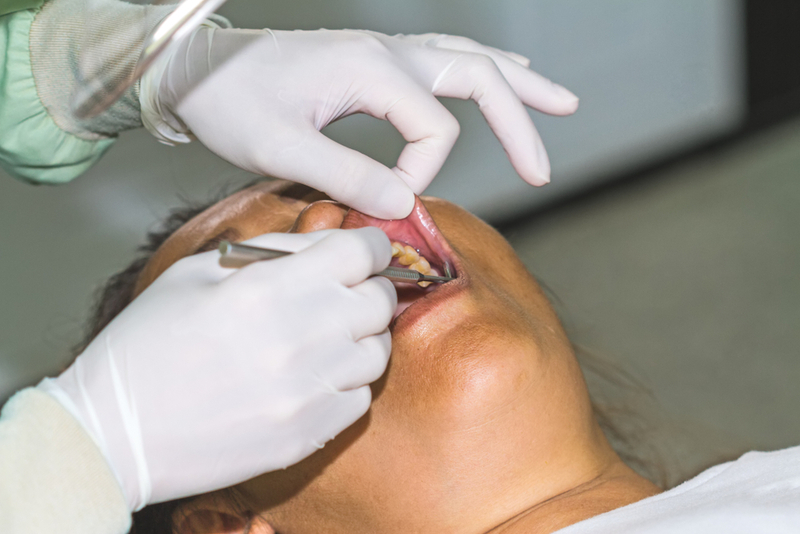 Tooth extraction is never something that anyone wants to happen but sometimes there really is no other option. Luckily, for Dallas patients, FastNewSmile is able to perform implant surgery safely and efficiently when the need to replace a tooth arises. Our team has been successful in performing oral surgeries of all sizes, and have created a multitude of smiles across the Metroplex. Contact us today to find out about our services and how to schedule your consultation.